Red is a colour which hides magic. Discovering its secrets is worth trying. 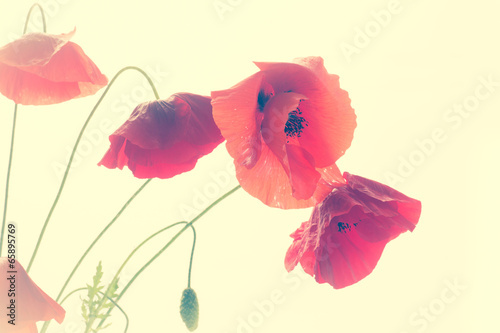 Charming red poppies depicted on the photo wallpaper will symbolise changes, freshness and love. Let the new summer fusion fill the entire house with love. The photo wallpaper with an original motif will be the beginning of changes and aspirations for better tomorrow.